Embrace the power of shiatsu healing for a clearer mind, body and soul! It promotes spiritual healing and well-being. But where can you find the perfect Shiatsu healer that is both authentic and affordable? Fear not, the Best Massage BM E358 is here so you can enjoy the best of both worlds right from the heart of your home! This massage chair comes fully assembled, featuring a curved long rail design and wireless Bluetooth speaker and USB charger to bring you the ultimate bargain in modern luxury and comfort for more strategic muscle relief and relaxation. 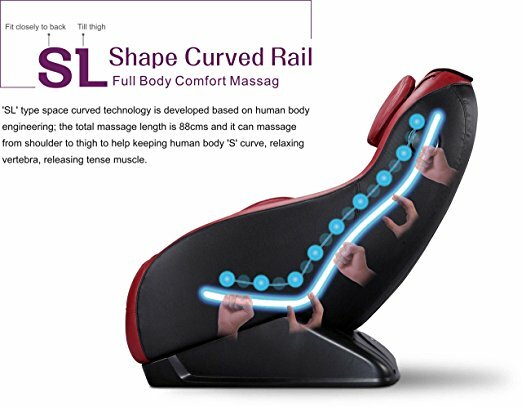 The Best Massage BM E358 Massage Chair is a curved long rail massage chair that specializes in the art of Shiatsu massage therapy. Therapy is highly specialized and focuses on massaging the skin layer to release muscle tiredness and fatigue. It offers highly concentrated and specialized massage services for a market value, making it a popular option for happy customers globally. The BM E358 Shiatsu Massage Chair features 3 different automatically pre-set massage programs of varying therapy type and intensities that offer a range of massage services to users. These include kneading (brings in an element of the human touch by gently applying pressure to stimulate the skin and muscles), knocking (massage the skin surface to release fatigue) and a combo of kneading and tapping to ease aching muscles. 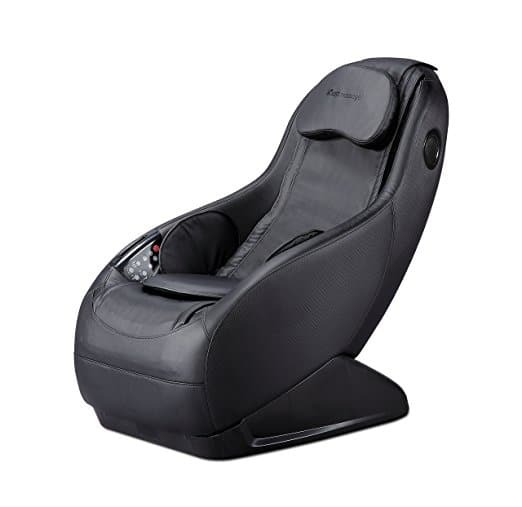 Experience the comforts of a full body massage with this next generation ergonomic design. 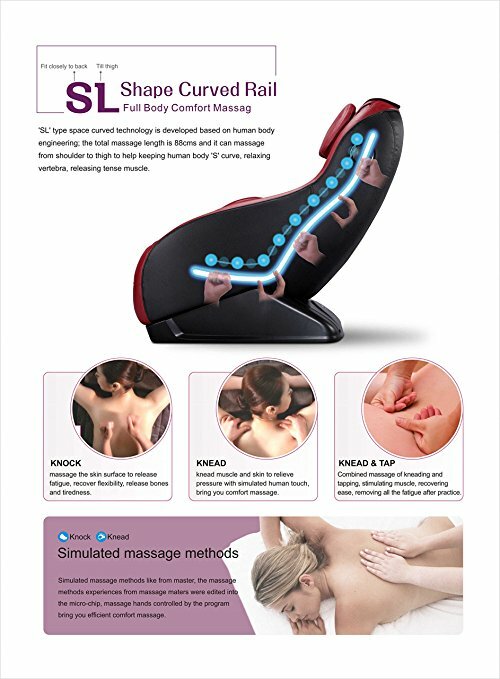 The SL-type space curved technology has been specially developed to suit the body’s frame and structure, and providing concentrated therapy from your shoulders to your thighs. 4 airbags are strategically placed on either side of the seat. The constant pressure applied by the inflation and deflation of the air bags effortlessly releases all stress and tension in the hip, lower back and buttocks. An extra seat cushion is also available which can be adjusted accordingly to increase or decrease the massage strength. Light weight with hidden wheels for easy movement around your house or office space. 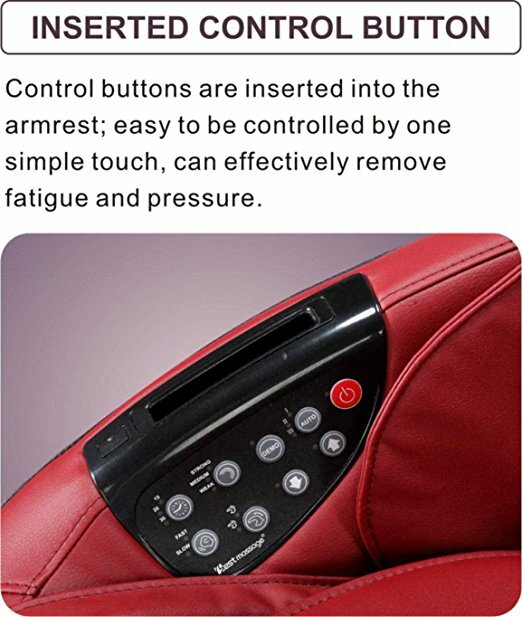 Control buttons inserted in to arm rest for convenience and one touch control. 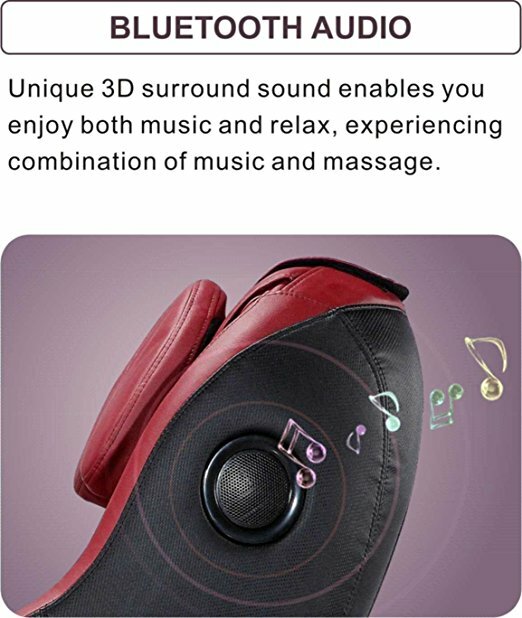 Unique 3D surround sound with Bluetooth enabled audio for a more relaxing massage experience. 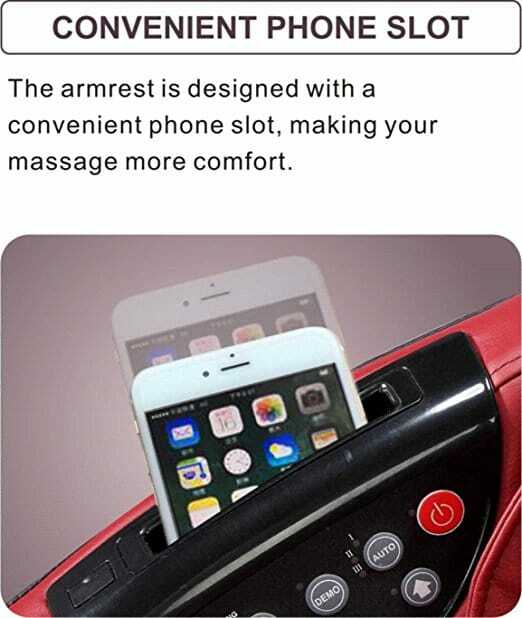 Armrest designed with a convenient phone slot to store your mobile device in while enjoying that massage. Supports a maximum load of 199 pounds (90 kg). It utilizes the time-old technique of Shiatsu healing to gently tap, knead and knock your muscles back to life. And together with the 3D surround sound, it provides you with a holistic and calming massage experience which you can enjoy from any space you desire. 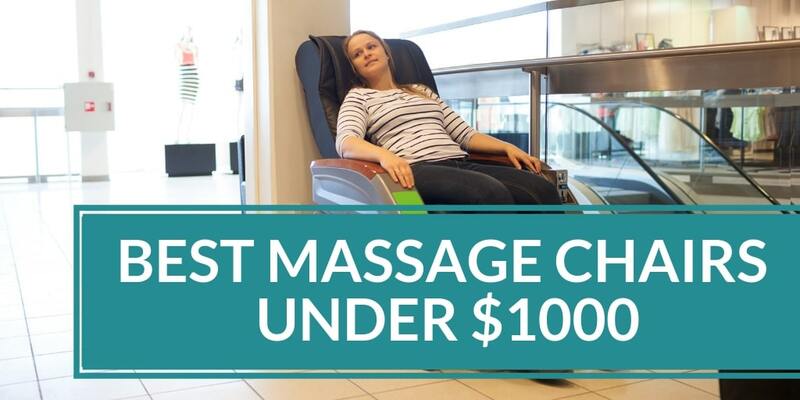 It is a steal for its price, and will truly deliver one of the best massages to you, day in and day out.